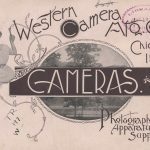 Catalogue and Price List of Photographic Apparatus and Supplies by Western Camera Mfg. Co. includes three cameras from 1897–the “Dexter,” the Cyclone, and the ZAR Pocket Camera. Western Camera Mfg. Co., Chicago, IL. 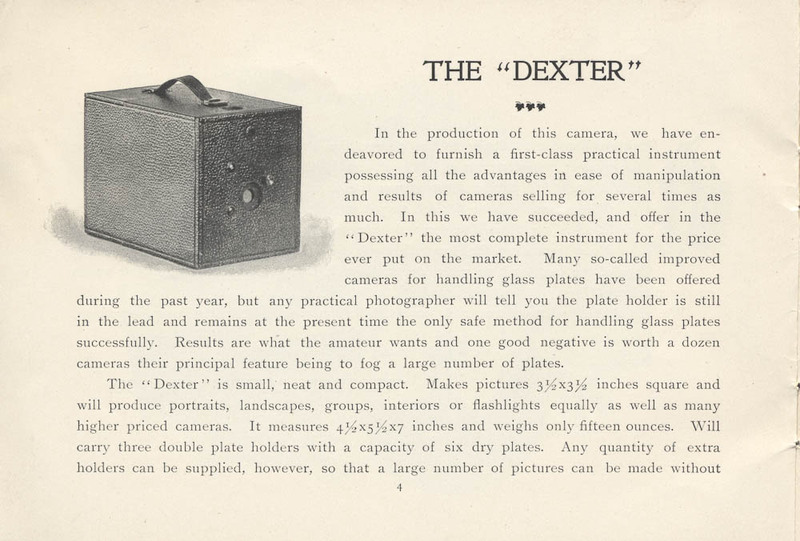 Catalogue and Price List of Photographic Apparatus and Supplies, 1897, page 4, The “Dexter” Camera. Western Camera Mfg. Co., Chicago, IL. 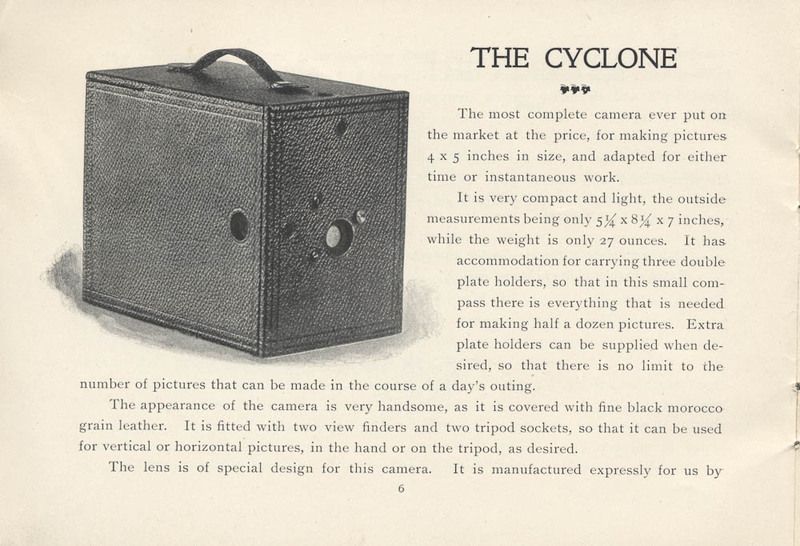 Catalogue and Price List of Photographic Apparatus and Supplies, 1897, page 6, The Cyclone Camera. Western Camera Mfg. Co., Chicago, IL. 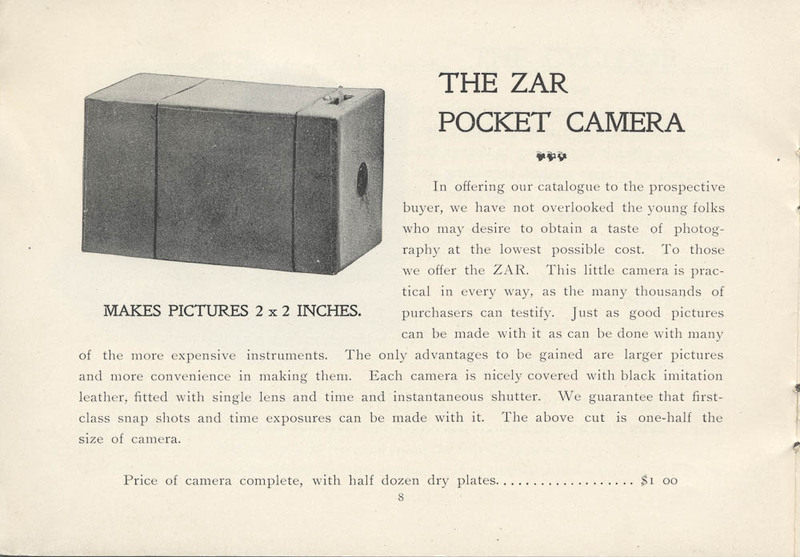 Catalogue and Price List of Photographic Apparatus and Supplies, 1897, page 8, The ZAR Pocket Camera. 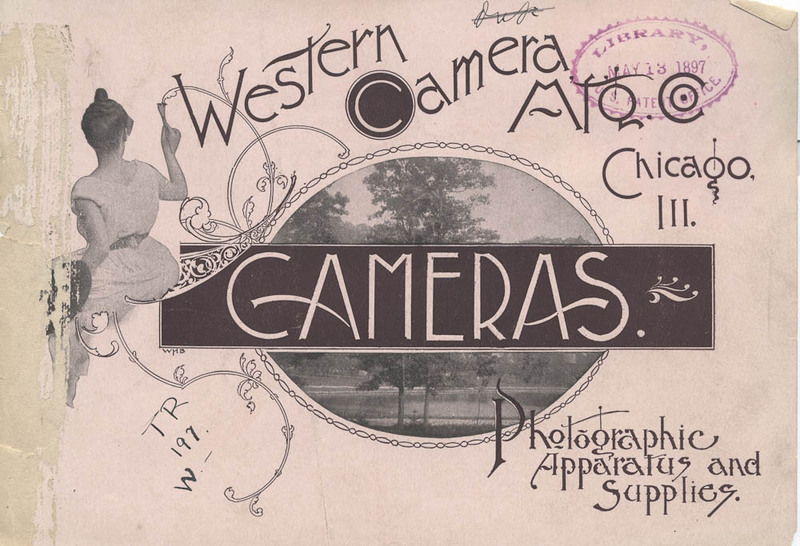 Catalogue and Price List of Photographic Apparatus and Supplies by Western Camera Mfg. Co. is located in the Trade Literature Collection at the National Museum of American History Library. More pages from this 1897 trade catalog can be found on Galaxy of Images.